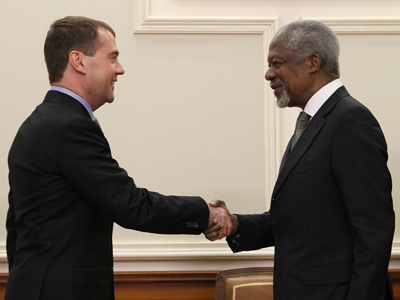 Russian President Dmitry Medvedev and his US counterpart Barack Obama have praised Kofi Annan’s peace mission during a Nuclear Summit in Seoul. 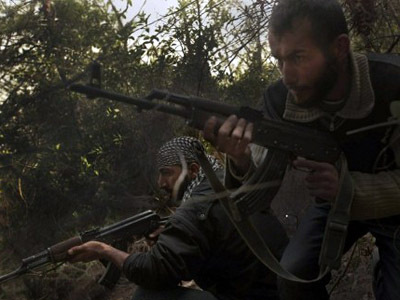 This is the first time the two countries have come to an agreement concerning the Syrian conflict. “The president of the US and I consider [Annan’s peace mission] a positive first step towards peace and dialogue between opposing forces in Syria. We are prepared to help Mr. Annan wherever possible,” the Russian president said to press following the summit. The issue has been a bone of contention between the two countries during the past few months, the US heavily criticizing Russia’s veto of UN Security Council resolutions on Syria. Moscow takes the view that the documents are unbalanced in favor of regime change and calls for more demands to be made on Syrian opposition groups. The US heavily criticized Russia’s veto of the UN Security Council resolutions on Syria. Russia said the documents were unbalanced in favor of regime change in the war-torn country and did not make sufficient demands on opposition forces. Professor Ibrahim Alloush of the Zaytouneh University in Jordan took a far more cynical view of Kofi Annan’s mission, telling RT it is far less about peace and more a failure of the Syrian opposition to advance militarily. “First of all, the reason Annan is committed to this mission at this point is because the so-called rebels have not been able to achieve any significant military victory on the ground or to hold on to any Syrian territory for more than a few days. And two, on the diplomatic front, Russia and China have not allowed the West to perpetrate the kind of direct military intervention that was perpetrated in Libya. This has created a kind of stalemate that needed to be filled. And hence Kofi Annan has come in with a little bit of a cover from the West to buy some time,” he said. Dr. Alloush also says the mission will do little to bring any real peace to the region. The two leaders also discussed work on a new START document that will allow but states to reduce their nuclear arsenals. 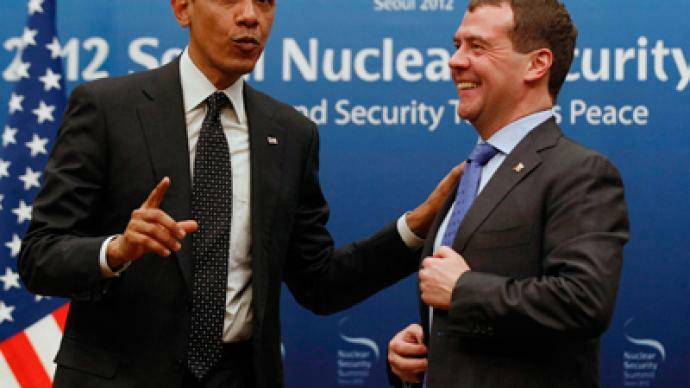 But despite Barack Obama’s pledge to pursue further nuclear cuts with Russia prior to the meeting, both countries stood their ground on their missile defense policies. Medvedev said that although both countries had their own policies on the thorny issue, he signaled that it was time to push for a solution. Both countries further decried North Korea’s satellite launch next month, which is regarded as a missile test by the international community. They agreed to ramp up pressure on North Korea to avert the supposed missile test. Seoul has threatened to shoot down a rocket carrying a satellite if it violates South Korean air space.